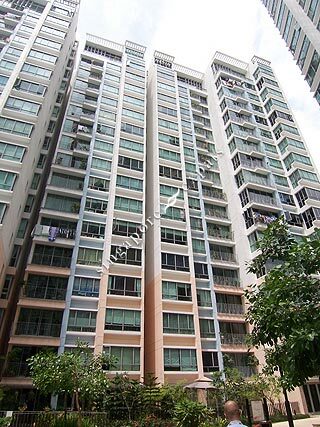 Lakeholmz is a 99-year leasehold condominium project located at Corporation Road near Boon Lay Way, Jurong. Situated in Singapore's well-known lake and garden district, Lakeholmz offers a wonderful lifestyle of convenience and garden living. The architectural design is formed around an extensive swimming pool set within an alluring landscaped garden, and comes complete with full recreational facilities. Each apartment in Lakeholmz is carefully laid out to ensure direct view to the extensive pool and alluring garden setting that make your living a daily retreat. To top it all, the single-loading layout of each home will enjoy maximum light and natural breeze all year round. Amenities are within short walk from Lakeholmz, including Lakeside MRT Station, food centres, shopping & recreational amenities and schools. The Chinese and Japanese Gardens, Jurong Point shopping mall, Jurong Bird Park, Jurong Country Club and other recreational facilities are located nearby too. Lakeholmz is accessible via the nearby Ayer Rajah Expressway (AYE). Commuting to the city takes about 20 – 30 minutes by car or MRT.